Underneath the Church of the Nativity is a system of caves, of course! Because the stable of Jesus’ birth was a cave. 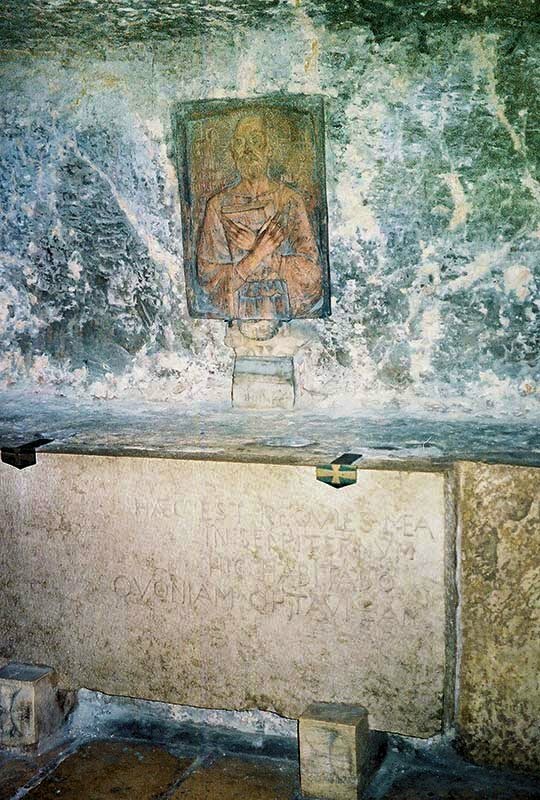 In these caves, the Byzantine monks who took care of the church lived and worshipped. In these same caves, biblical scholar St. Jerome wrote the Vulgate in the 5th century, by revising the Latin versions of the New Testament and translating the Old Testament directly from its original Hebrew. 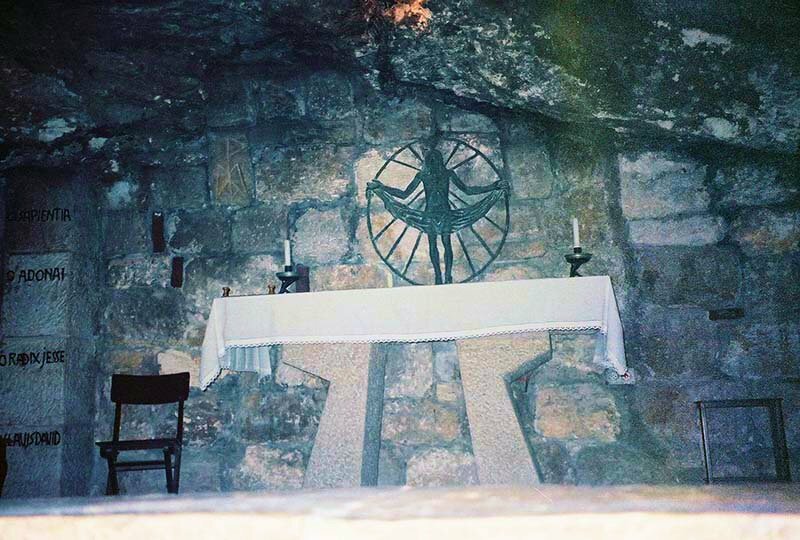 He often said, “Ignorance of scripture is ignorance of Christ.” In the photo below, you can visit his tomb in one of the small rooms of the cave where he used to live. Jesus, You are the Word made flesh. Help me to grow in my knowledge of You and my awareness of You in my daily life. Amen!